When are you Done Decorating? I know I’m changing things all the time, because I like to tweak and make things better and better. Some of my changes are fabulous and some are… well… flops. So when are you finished decorating a room? Did you answer ‘never’? I’m done with a room when it feels right. But when I say ‘done’ I mean ‘done for now’, not ‘done forever.’ I always reserve the right to change things later. Here’s where I started just a few months ago. I decided to make a few changes. I didn’t like the black frames and wondered how it would look with shutters behind the beds. So here is the room with the shutters. I had mixed reviews from readers on this look. I thought the shutters looked too rustic. I did miss the dresses, but not the black frames. Here I went with new bedding. I really liked the fresh look, but felt the shutters looked dingy next to the white bedding. Well I thought I went too far, so I added the gingham back in on the bedding below. And now for the next phase. I wondered how it would look if I draped the gingham over the shutters. I also folded the bedding up at the end of the bed for a slightly different look. I also got new benches for the room. The burlap ottomans didn’t go any more. Also I wanted a bigger seat, since the benches are the only seating in the room. This way someone can sit on the bench and have more room. I’ve included a link for the bench since there is always someone asking ‘where did you get that?’ You are not going to believe this, but the bench is less than $120 right now. I am telling you, I know where the deals are! The baskets went under the benches, so they are still there. I also realized that people can stow their bags under the bench also if they don’t want to use the basket. I think these benches go better with the new bedding and are also more practical. Another more subtle change was changing out the cream matelasse quilts for vintage linen sheets. Yes I used sheets for my bedspreads, don’t judge, ha! I think the look is very airy and springy. Yes it’s January, but hey this is Texas, and it’s been hot. Okay I am going to be honest here. I liked the benches, but the room still felt off to me. I felt the room looked too angular with the squared off shutters the the more rectangular benches. I made another change to the room. Well I made a couple of changes. Can you guess what I did? What would you do? I’ll show you as soon. But I am always open to your suggestions. 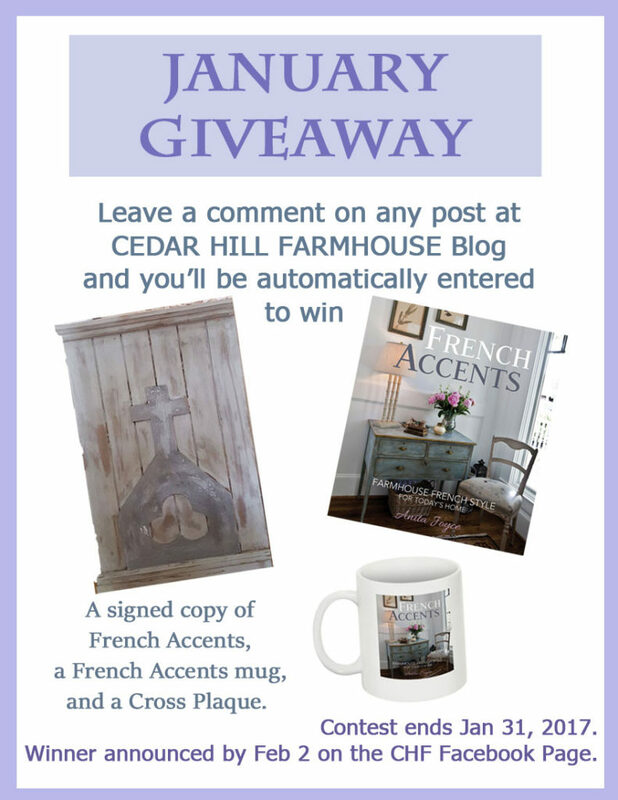 Leave a comment and be entered to win! I’m with you in that I don’t think a room is ever “done” … just “done for now”. I really enjoy mixing things up a bit; keeps things fresh, right? I go more by how a room feels, that’s my gauge. Also, living in Chicago with the changes of season (they seem to change daily at times), I’m constantly tweaking … but I’m having a ball doing it!!! Done for now because a room is never done! I’m never done. That would take all the fun out of life! I love your Blog and I love to continue tweaking my decor too. The shutters add a lot and prefer to view them without the fabric. I would add some strings of crystal bling to the shutters and ofcourse a petite crystal chandelier too. The gingham fabric adds a punch of color and looked lovely on the bed or added to existing fabric combo. The dresses could be hung across from each bed (given adequate wall) with shelf with hooks beneath. Oh, and the benches are a fabulous addition and very functional. Just a thought! I am an antique dealer and I love your beds. Show them off. Shutters and gingham seem a bit overdone. I enjoy your blog very much. You often inspire me to try a new approach to decorating. I sometimes fail too. But it never stops me. You don’t know how well something is going to turn out –until you try. You reinforce that with your wonderful projects. Luckily, I can often sell what I don’t love anymore. But as I get older, I am trying to change my mindset a little. When I feel that a room is “done”, I leave it alone (for at least three months, well maybe two months. My goal is to have only four seasonal transitions a year. I live in Michigan. So, if I were to change things up like the weather here, I would be changing things every day. Done for now and tweak on is my motto!! I am always on the hunt for unexpected treasures. I don’t think you are ever done decorating. Styles change and your taste changes so frequently. That’s the thrill of decorating, knowing you can change anything at any time! A room is never done. However if I love a look created, it stays around longer. Sometimes for me, just new throw pillows rug or window treatment makes a Hugh difference. Changing is the creativity we share. So, thank you for sharing. You inspire us to make our life more beautiful. Never done! Being content and satisfied is important, but if one stops changing things, adding or subtracting, , well, a rut is just a grave with the ends knocked out! I can tell when women of a certain age have stopped tweaking and are now in that grave- I mean rut. I visited a friend the other day and all the stuff from the 60s 70s, 80s still hanging about made me feel itchy! As for your room, I love all the elements separately but not sure altogether. I love the shutters sans the gingham. I think painting the frames your color, or a shabby white, hanging them back on the shutters with the darling dresses might work. Perhaps folding the gingham at the bottom of the bed? Maybe the walls lightened? The benches are a great addition, btw. Lovely, serene room. I am never done. I’m always thinking about what I can do to improve my rooms. I move furniture around a lot and not just in one room but switching from room to room. Friends have looked around and asked wasn’t THAT sofa in the dining room the last time I was here? Why yes it was and now it’s in my bedroom! ? I honestly loved the original room. Though, I do like the added texture of the shutters. I would try the little dresses above the shutters, or placed around the empty wall space. I agree! Loved the little dresses! I too love your ideas. However, in looking at the room which is the subject of today’s topic, I wold leave the gingham as the bedding, not on the shutters–I think the shutters are much better without the fabric–also believe that the flowery bedding is too flamboyant for the serene and lovely room. Benches are a great addition and more balancing than the ottomans. What I love best about your decorating is the same thing I like about my decor, everything flows so you can move objects around to different rooms and change the entire look. Never being done doesn’t always mean you have to buy something new, just move a piece of furniture, a pillow, a picture, etc. and you have a new and more satisfying look–that is what makes it so fun! I would paint the room. White or a colour other than the tan. The original look was best. You seem stuck on that one room. I get that way too. The square euro pillows are out of proportion. Like you, I am never done with a room. Just as seasons change, so does my decor. Right now I am thinking of spring around the corner but still enjoying my cozy comforts of winter. Did you put the dresses on the gingham? I like those sweet dresses! I don’t think a room is ever “done” either, by the way! Love the new benches, but the link does not work! I’d like to order one! Thanks, Anita! Try clicking on the picture, not the words. I’m almost always ready for a change , especially in the rooms I use the most. Other spaces (like a guest room) will stay the same a bit longer. I miss the sweet little dresses and might paint the frames and put them back up…I know it will be beautiful..whatever you do! Love your “changes”, I, too, am never done…just evolving. I am always wanting to tweet a room and then move on to another. Even it’s just changing furniture or pillows. I love what you did with the room! 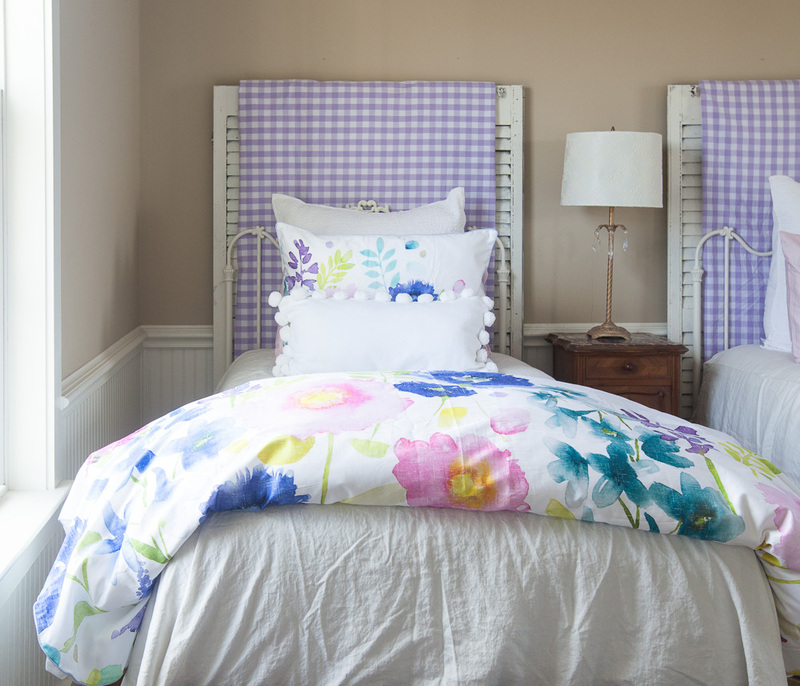 Hanging the lavender fabric over the shutters gave them a softer look and accentuated the pretty iron headboard. Adding the bright white pillows, and switching the ottomans out for benches was a great idea. You can’t go wrong with benches! Where did the baskets go? 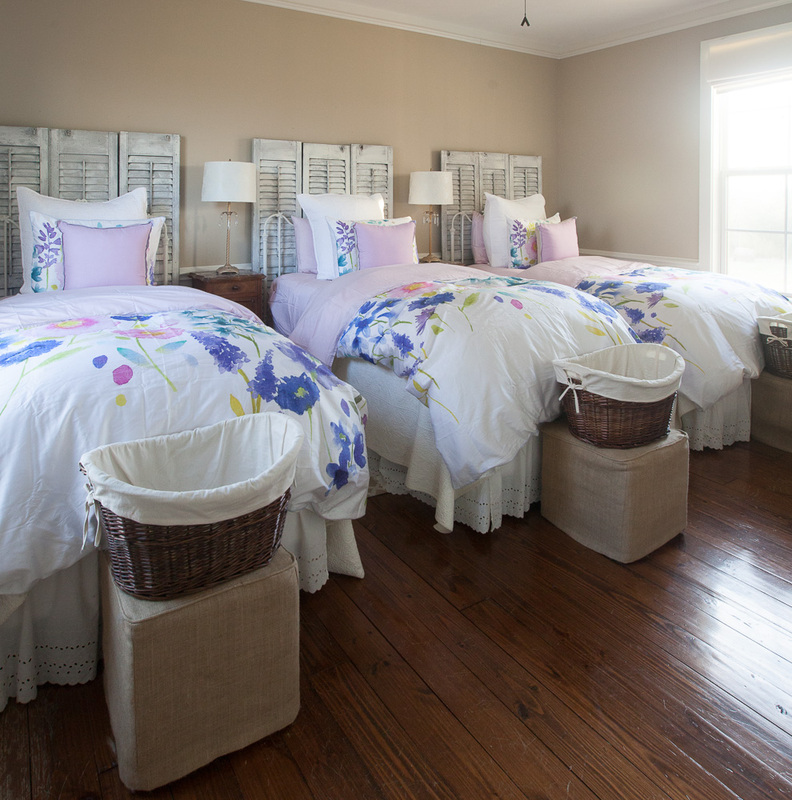 Love baskets.. Also, by folding the duvets at the foot of each bed rather than letting them hang over the edges has reduced the visual impact of the pretty floral pattern in the fabric to the perfect amount! Now that the beds are done, you could always switch the rugs out for some with a smaller pattern, different shape, or more color..
Trust me, you don’t need any suggestions from me. But, since you asked, I would take off the gingham from the shutters. I liked the dresses in the black frames for the contrast. I like the purple gingham and the flowered quit folded at the bottom. I like those benches a lot. I can’t wait to see what you do next. Love the room in all the ways you have had it, that’s sometimes my problem with my home, I like it all and cant decide which looks the best. Thanks for sharing! All of the elements look great, but I think maybe a very pale blue or lavender paint would make the shutters pop with or without repainting them also. It seems the only thing coordinating with the walls were the baskets and the rugs. I have walls that color and it goes well with flax and white, and a little color added. Now you’re dealing with a TON of color and the walls don’t seem perfect anymore. I’d say white walls, but then the shutters would look funky, unless you painted them too. OR, ditch the florals, keep the linen sheet/spreads, lavender check ar the foot, and put the baskets back under the benches. Food for thought. Always moving this or that. I like the suggestion of white shutters with boxwood wreaths for your room. Love your changes especially the benches. Perhaps fold the bed quilts in such a manner as to hang down the end of the bed. Triangular to add a new shape. As much as I love my home , the furniture in the living room can’t be moved around and I find that very frustrating. So I make myself happy by constantly changing out the pillows, throws and next new draperies. Fun stuff that drives my husband crazy! 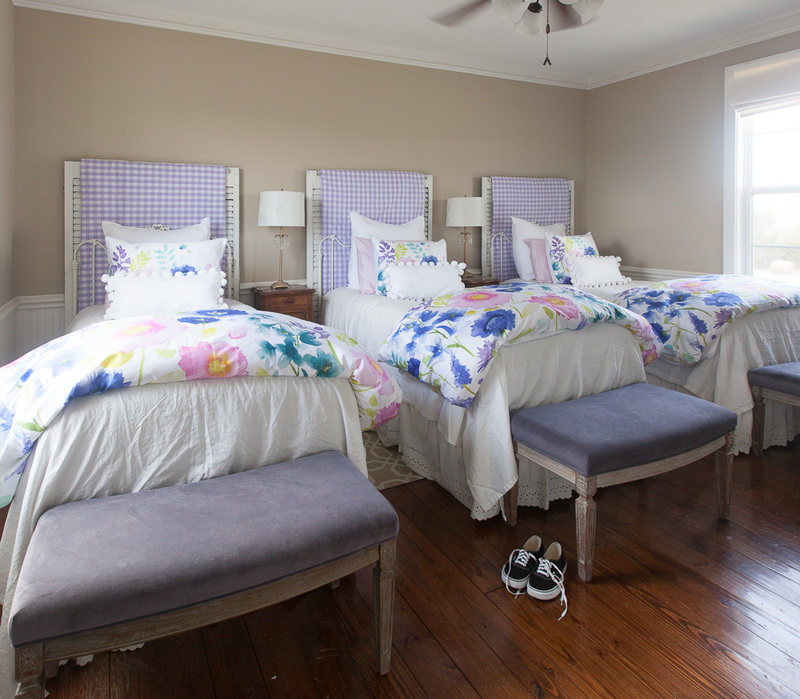 I love the shutters behind the beds but I agree that with the addition of the benches the room looks very square. Can’t wait to see what you have done. I personally loved the black frames with the dresses. Every room should have a touch of black in it. I do love the benches at the end of the bed. Just me. I am like you I like to change all the time, but don’t throw those frames away. For me, it is the wall color that is a bit off. I like the shutters, but not with the fabric over them. The benches are lovely. I probably would have painted the frames and left the little dresses there. I do like the cheerful colors in the comforters. Love to see what you try. Love the gingham on the bed. How about painting the shutters or the dress frames? Once you think you are finished with one room, it’s time to change another room. I like your new benches. I preferred your original look. The shutters don’t add anything. I think the bedding is too flowerly and does not match the gingham–keep the gingham. The original look was very serene, but now there are too many elements to distract your eye. Pardon my chiming in here, but, Bev, you’ve made up a word: flowerly. I kind of like it, though. The room is beautiful. If it were mine, I would paint the walls a little lighter and use the gingham on the bed and remove the floral. Love your blog! No decorating is never ‘done.’ I love the new bench. I’m not crazy about the floral comforters. I think this room/iron beds looks much better with the gingham. I like the dresses and would find a way to put them back up. The shutters need something–another color, a wreath…I”m not sure what but they don’t work for me! Can;t wait to see what you do next! Great column, have always felt that when house is “done” it will be time to either renew / refresh or move. You are awesome and do such cool things with rooms! I’m pretty sure you can do no wrong. But…it’s always fun to chime in since you asked 🙂 I like the original with the black frames and cute dresses. Nice contrast. Design/Decorating is a perpetual wheel in motion always moving, always tweaking. Honest opinion: I miss the uniqueness of the dresses, what if you painted the framing white like the bed. I think I would love the benches covered in the lavender check pattern. Love the new bedding for Spring, it is fun and very cheerful. The wall color needs a little tweaking, maybe a soft gray with a lavender undertone, or a very very soft blush or soft green. Just another opinion, but I know once you finish tweaking it will be fabulous. Progress is being made, but… I would first paint the walls several to many shades lighter than the upholstery on the benches. With the addition of the shutters, you have lost the headboards. I would paint the headboards a glossy deep dark purple. I, too, would do away with the gingham but use it as an accent. You could line your baskets with that, line your drawers or closet shelves, make big floor pillows, shower curtain, and so on. Happy landing! I’ll be anxious to see what you have done. I am never done, there is always new inspiration that jump starts my juices flowing!! I liked the frames, just not in black, what about periwinkle or lavender. I liked the shutters with the gingham and I also would like the shutters with no other colors, just a lot of layers and texture. But then it is always fun to change it up!! You are a great inspiration for me!!! 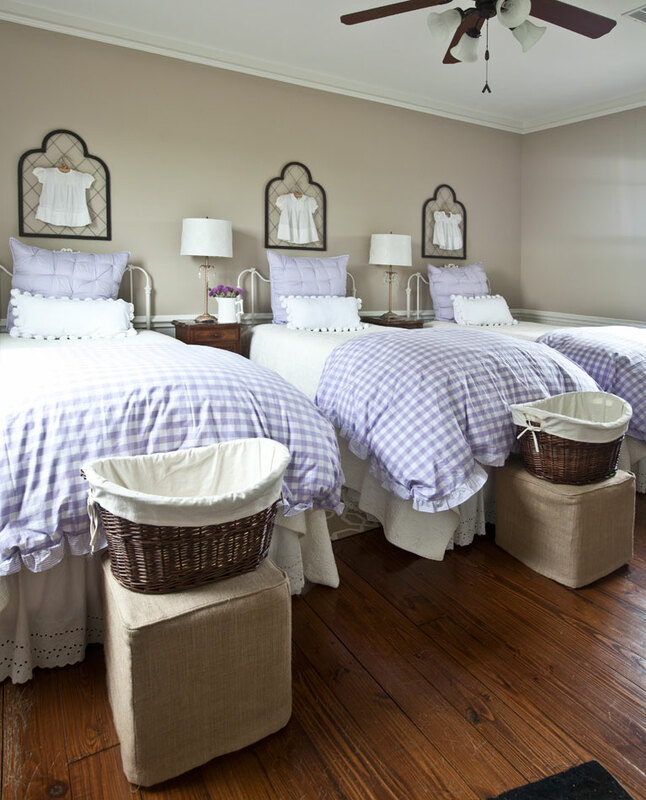 I have always loved this room with the three beds and three little dresses. If the room were mine I’d paint the shutters a nice clean white and hang them so atleast 2/3 showed. Then perhaps string some heavy cording across the shutters and hang the dresses in front of the shutters with antiqued clothes pins. Are the benches gray or lavender? Can’t tell. Like so many others have stated, no I’m never done and I loved the dresses! I can understand the issue with the black but it looked good. Maybe painting them lavender would feel better. Myself, I’m not liking the shabby shutters as is. I would paint them lavender put the dress back up and maybe add a wreath to frame them. My two cents since you “asked”. Love your blog! Oh, I would also raise the shutters, they feel short. I love what you do and I love to move things around and change things up. I would suggest using the gingham on the bed with the floral duvet folded at the bottom of the bed. And it does look a bit angular and I have these issues too, so I think adding fabric to the window with soften things up. dirty looking compared to the fresh look of the bedding. I too loved the little dresses on the wall. I don’t care for the color of the bench material. I loved the look of the room in the first picture. I agree that decorating is never totally done – I can walk into a “done” room and see something to tweak or move around! Never satisfied… I loved the little dresses above each bed – it looked so sweet and somehow just “right”. Love your ideas! Many thanks. I love your blog and read it day by day. 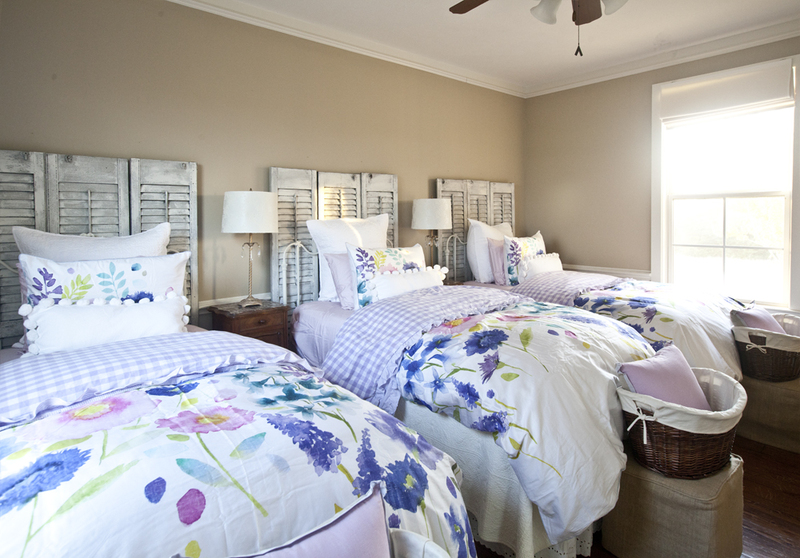 I would paint the wall a lighter color, whiten the shutters, and put the gingham back on the bed under the top floral. I love the lavender gingham. I prefer showing the lovely iron headboard so I would remove some of the bed pillows. I especially liked the white pillows. I think the benches overpower the beds. I prefer the shutters over the dresses and prefer your first view. Your ideas are always inspiring! I loved the dresses and frames, I like a little black in rooms. I think the shutters should be hung higher on wall so bed frames show and not so much space between them and ceiling, then you could add the frames and dresses on shutters or just cute dresses. I like your original room but understand the need that it’s really never done! I feel the shutters are too big for the beds…they over power. The gingham only emphasizes that. Smaller shutters, maybe? Hang the dresses back on the shutters. Maybe the dresses are too small for the shutters. I agree, decorating is never done, always on the “hunt” for treasures to add. Love all that you do! To me, the shutters and benchs are not in sync. If there was only one bench off to the side it would be fine. the benches have a dressY look. I would try white shabby chic mirrors over the beds with a few antique plates around them. Love the gingham and flower bedding together with the pillows. The benches need baskets underneath for pillows when bed is in use. 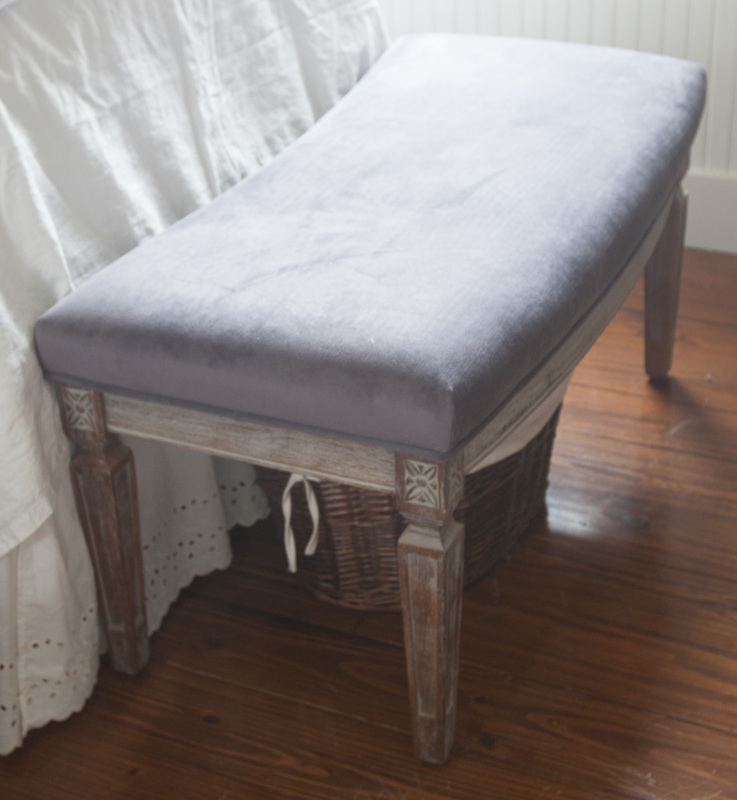 Paint the wall above the chair rail a soft lavender or sage. The bottom below chair rail could be white. That’s my two sense for what it’s worth! ??? Love all that you do! To me shutters and benches are not in sync. Remove the shutters and put up white shabby chic mirrors over the beds. Add some antique plates around mirrors. Love the gingham and flower bedding together with the pillows. The benches need baskets underneath for pillows when bed is in use. Paint the wall above the chair rail a soft lavender or sage. The wall below rail should be white. Otherwise it’s perfect. LOL That’s my two sense for what it’s worth. ??? Done decorating? What else is there to live for? ? Love the original room. The shutters seem too heavy to me. The dresses seemed much more appropriate and feminine. The little dresses are so adorable as is the whole room. I miss the dresses. I would have toned down the black with some “rust” paint and left those. They are charming beyond. I also don’t care for the floral. I love the check. The benches are a great addition. Nix the shutters. I agree that they are too rustic. But all looks are great as you are a fantastic decorator. I love the benches. They are a great improvement over the burlap! I don’t think I will ever be done decorating. I will always find something down the road that I think will look better in it’s place, or a color change. This was an interesting and educational post. I appreciate learning through others because I often have “buyers remorse” when a project turns out less than what I had hoped. Recently found your blog and just love it. Spending far too much time trying to read all you have posted. I do have a question. I read about your having two daughters so I’m wondering if the 3 beds means a guest bed or is there another girl somewhere I missed. Thank you for all you share. Great job. Annabelle, that is the guest bed. We don’t have a guest bedroom, just a guest bed in the girls’ room. Thanks for the kind words Annabelle! Honestly, I LOVED the “original” room. It was just so soft and sweet looking for girls and I miss those little dresses. The room gave you a look of serenity – now there is just so much going on that your eyes are going everywhere. When I was younger I moved furniture around – a lot! My husband, a physician, said I could move everything but the bed. When he came home from a late night at the hospital he wanted his bed in the same place! Does everyone have to go with the grey fad….? All I can see is battleship grey from the 60’S that lasted a long time…it was left over paint from WWII. Do they still have some left? I must say, I liked the original rooms the best. I really enjoy your blog, you are so creative and the best part is that you are so genuine! Thank you for asking our opinion! Sounds like my kind of friend Vicki. So glad you inherited your mom’s love of decorating. Each change has been interesting, but I like the floral and white bedding with the new benches shown in the last photo best. I like a touch of the gingham to add some contrast to the bedding. To avoid the repeated rectangular shape that you mentioned, maybe remove the shutters and hang or drape the gingham above the beds so that it’s not the rectangular shape. I liked the room before the changes. If any change was necessary, maybe just painting the black frames white was the simple solution … Those dear headboards went with the little dresses and soft look of the room. The lines and “feel” of the room was inviting. I do like the benches at the end of the beds. That was a good change. The shutters, the shutters with gingham, the new bedding … not so much. The room needed tweaking, not an overhaul. Lily, I agree with you! After this post went live, I removed the shutters from behind the beds. 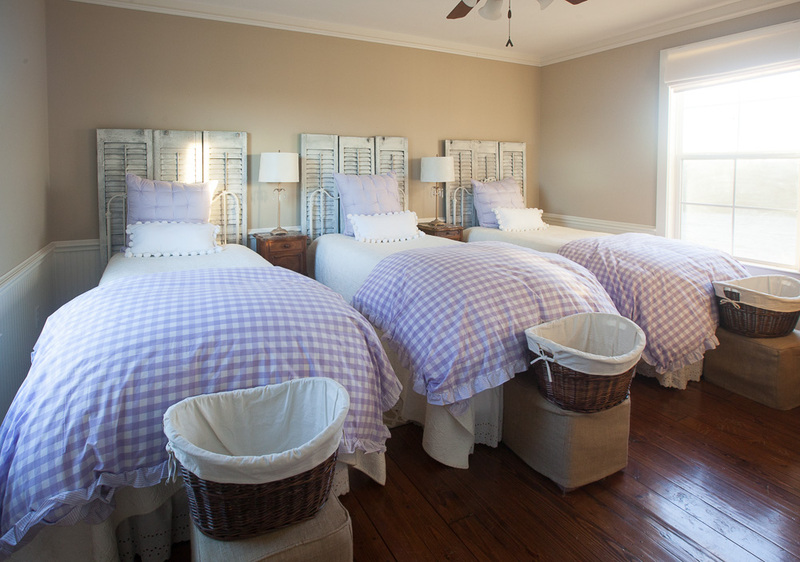 I still have the watercolor bedding on the beds, but the gingham is in the closet and can go back on the beds any time.